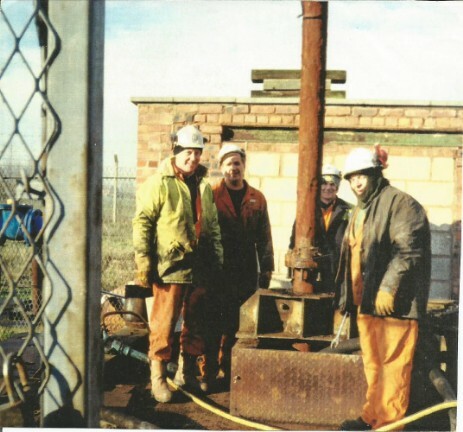 Removal of the submersible pump from Oxcroft colliery in 1997/1998. 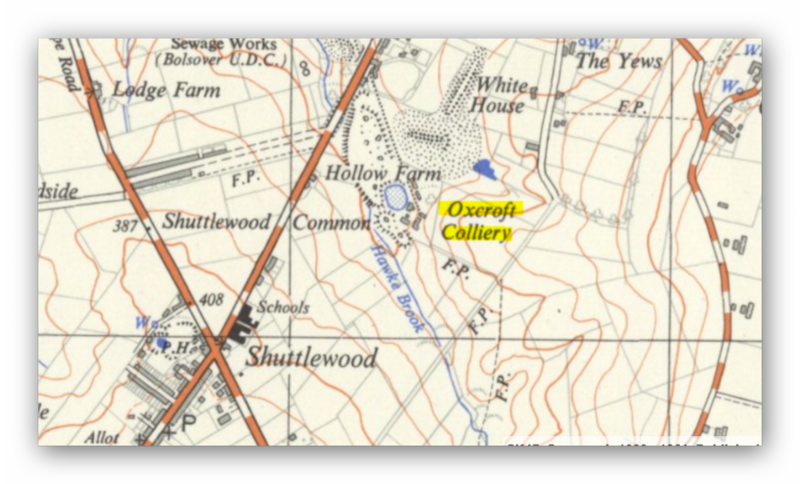 In line with many closed collieries pumps were installed in the old shafts to prevent the flooding of other collieries in the area. Some water from underground found its way many miles from where it was created. 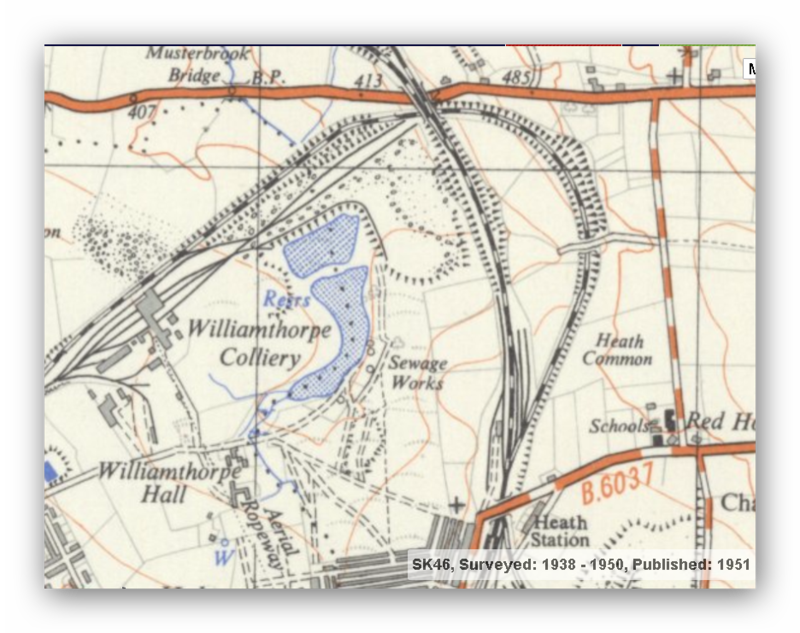 Williamthorpe colliery pump for instance removed vast amounts of underground water from as far away as the Nottinghamshire coalfield. Much of the water was contaminated, mostly by the iron deposits in the strata and could not be pumped straight into the river network so it had to be treated first. Nature played a hand here by removing the pollutants in settling ponds with reed beds, the reeds separating the iron from the water which could then be allowed to enter the river network. Photographs kindly sent in by John Hill. (Many Thanks). 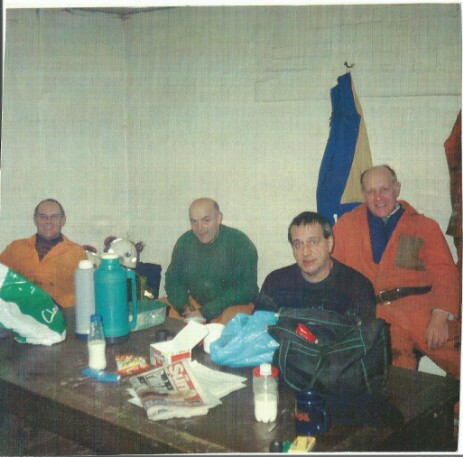 From left to right over the shaft are myself John Hill, Mick Taylor, Brian ? and Tony Lee. The water level in the shaft had not moved in 3 years because Williamthorpe pit pumping station kept it down, so the pump was removed. Map from National Museum of Scotland. Opens on a new page. Water Treatment at Albert Colliery, Sheepbridge. The photographs at the bottom of the page show the tratment of the polluted mine water before it was allowed into the river (Barlow Brooke) from Albert colliery in the Sheepbridge Iron & Coal area. Map, National Museum of Scotland. (Opens in a new page). Photographs by A.N. Bridgewater. 2004. Water from the pump goes into several filtering ponds before outflowing into the Musterbrook. These ponds and the surrounding land on the industrial estate are now used for leisure and fishing.